Behind the castle that the Daimyo was in as well as all his body guards, two figures started approaching, one with a cane and one with a figure over his shoulder. Danzo and his body guard Fu who seemed to be carrying some kind of puppet over his right shoulder. Because everyone who was attending the speech was entering from the front/main entrance no one was really around to see the two Konoha shinobi behind the castle. But Danzo and Fu made sure there was no one around. They both jumped up onto the back side of the roof of the building the Daimyo was in landing as soft as a feather where only a ninja could get to. "Let's hope they find this" Fu said laying down the puppet on his shoulder against the long beam running from one dragon mouth to the next. "Your body will be hidden there" Danzo told Fu pointing to the small patch of trees to their right (top of the overhead picture). "If you hear the guards start attacking, release the jutsu, contact me through the com. device and make your way to the castle." Fu acknowledged the ANBU leader and began informing Danzo a bit. "There are many chakra signature's within the building" Fu said not having time to accurately count for time was precious. "One specifically is off the charts, I have never seen such chakra. Are you sure..." but Fu was quickly interrupted by Danzo. "Have you forgotten who you are speaking to" Danzo said with a stern voice and a gaze of death. "My apologies sir" Fu said bowing his head. He quickly turned his attention back to the puppet. He placed his hands together making his pointer and thumb fingers form a triangle. A second later, his body began falling to the side as Danzo grabbed his shirt and tossed Fu over his shoulder. In the blink of an eye Danzo vanished with Fu's limb body and re-appearing inside the trees he pointed to earlier. Danzo placed Fu's body inside an area of bushes making sure his body was out of view. Again he vanished from sight this time re-appearing inside the forest in front of the main entrance. Danzo flipped the cane under his armpit and clapped his hands together into a seal. An explosion of smoke engulfed Danzo and when the smoke cleared it revealed a small bald old man with an eye patch over his right eye wearing regular black robes and sandals. Wrapped around his upper body concealed under his robes was a red leather strap and connected to it at his waist was the most intricate knife holster anyone had ever seen. The holster was also red with gold designing all around it, the knife handle also having gold designs around it. It was a kunai he had also transformed with the jutsu. The old man walked out onto the path leading to the entrance as a few people suspiciously looked at him for coming out of the forest. "hahaha sorry, couldn't hold in my pee pee much longer" the old man said, laughing some more while scratching the back of his head. With that he slowly made his way to the front entrance waiting for the main gates to be opened along with everyone else. "Alright everyone, it's almost time to start letting the public in, so let's get into our positions." Shikamaru would announce. The Samurai captain walked up to Shikamaru with one of the guards next to him. "This man should be best suited for the soldier you requested, he is the most nimble among the guard." the captain informed Shikamaru. "Thank you. Wait here till I get back." Shikamaru said to the man, who just nodded in return. 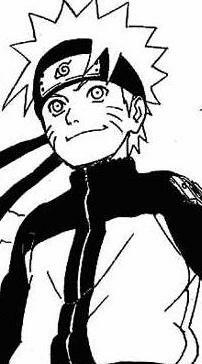 The Nara turned to look at Naruto, who looked ready to pop. "Hey, cool it hot-head. Don't get too worked up, you need to stay frosty if we're to succeed. Take the Southern exit and once you have cover create all your clones. Remember to leave 3 behind to stay with the guards outside. Transform all of them into civilians, including yourself, and the ones left with the guards. Once that's done, move out through the forest and join the crowd waiting in front of the main gates." Shikamaru instructed his teammate. With that, Shikamaru and the rest of the Samurai began making their way to their respective positions. Waiting on the other side of the closed gates, Shikamaru and the 4 Samurai with him would not open the gates until the Nara gave them the OK, which would come once he saw Naruto's horde arrive. Naruto turned to face Shikamaru once the Nara realized he was stressing out. Taking a few deep breaths, Naruto would nod and shouted "On it!" giving Shikamaru a thumbs up at the same time. Exiting the buildings southern entrance, Naruto put his hands together in the Kage Bunshin hand seal and created an army of clones. All the Narutos, including the real one, but three of them transformed into normal looking civilians. The three Naruto bunshins that still looked like him placed themselves at the north, east and south entrances with the sole samurai that would be guarding along side them. The rest of the horde would run into the forest where they would not be seen and made their way all the way to the west entrance, which was the main one. Making there way to the back of the crowd, using the trees as cover, they would all appeare coming down the road as a new mass of civilians wanting to see the Damio's speech. Mixing in with the rest of the crowd to make sure all the Naruto clones made it into the court yard, they would wait along side the rest of the people for the gates to open and for their mission to begin. Walking back into the conference room, Shikamaru noticed that the assigned guard was already in his tile-colored shinobi outfit. Looking to the map on the table, Shikamaru would say to him, "You'll be positioned here. Try to stay as best hidden as possible while keeping an eye on the crowd. Don't hesitate to communicate anything fishy you may see, especially if you notice someone look up at you." The ninja-disguised samurai nodded, and Shikamaru nodded back. With that, the man was off to his position. Shikamaru then equipped himself with the armor the man had been wearing, to disguise himself as a regular samurai guardsman. Holding his samurai face-mask in his hand, the Nara made his way to the the 4 guards in the courtyard who were waiting at the main gates. "Alright, open them up, it's time to start letting the public in." he instructed them. As the 4 men began opening the gates, Shikamaru put the face mask on. The 4 samurai along with Shikamaru would then form a human wall at the entrance to screen all the people entering. Anyone with a bag would have that bag searched, and random pat-downs would also be carried out at various intervals. Shikamaru's analyzing eyes scanned the crowd and its individual members as people began filling up the courtyard. "Oh, it looks like more people are arriving" old man Danzo said to another senior within the group of people . He saw more people coming down the path to join in and listen to this speech. "Lets hope this speech is good, wouldn't want to disappoint everyone now would he" the bald old man said as he began chuckling to himself revealing the few teeth he still had. The old man turned his attention from the other one in front of him to the main gates opening. "Ah, they're finally letting us in. People were getting restless" Bald man said as he slowly turned and slowly began making his way to the gates with the other old guy, who he just realized didn't talk at all. They were in the middle of the massive group so it was taking them a long time to get to the guards. The closer they got the more they could see. "It seems like they're searching some of the people, they are probably worried about a threat or something" Bald man said. The other one simply just nodded and proceeded. Danzo (Bald man) and the other simply made there way to the guards moving along with the crowd waiting to see if they get inspected or not. All the Naruto clones mixed in with the crowd and disguised as civilians watched as the front gates were opened with 5 samurai guards standind before them. Spotting Shikamaru as one of them, Naruto watched as bags were searched and random pat downs were performed on the first few who entered. With that, the clones started looking around the crowd to see if there was anyone acting suspicious do to the guards searching them. Naruto now knew why Shikamaru gave him specific things to do while entering, so that his clones would not be one of the civilians that would be searched. As the crowd slowly made its way forward, several Naruto's had already gone by the samurai guards, clenching both fists and winking their right eye. Making sure to be spread out to try and catch everything, the Naruto clones would continue clenching both fists and winking their right eye until them and the entire crowd would be let in. As the process of letting people in continued, Shikamaru and the other 4 guards took note of the signal, and let the Naruto's pass. If someone fucked up and tried doing the signal incorrectly, they would be caught and immediately dealt with. After some time, everyone would hear in their com device, "We've reached full capacity, close the gates." With that, Shikamaru raised one of his hands and said, "Thank you, but we've reached maximum capacity inside. We will no longer be letting people in." The Nara turned and looked at the other guards and nodded. He then walked into the courtyard as the guards pushed the people back and then closed the gates, locking them from the inside. Shikamaru walked along the Northern wall as he made his way to the stage, observing the crowd of chattering people as he did. All the guards would be in place by now, including the one on the roof. All that was missing was Shikamaru standing up on the stage with the other 9 guards there already. "The Daimyo will be out shortly, please be patient." the guard captain of the samurai announced from the stage in a voice loud enough for everyone to hear. A few moments later, Shikamaru walked up the steps and took his place as the Daimyo's first left-hand guard. He stood like a statue as he looked over the bustling crowd. Bringing up a hand to his com device, Shikamaru would speak softly, "Naruto, did you make it inside?" Danzo managed to get by the guards at the front gate without getting searched, as well as the other person he was with. Moment later the doors closed on many people still outside meaning they were full and could no longer take anymore people in. Danzo talking to the guy was to make it look like he was a regular civilian and less suspicious then someone who was alone and just wandering around. "look at this place?" Danzo said trying to look amazed by it as he began looking all around as many of the civilians around him also began to take in the scaenery. But as Danzo did it, he was analyzing the area of guards. Turning back to the guy beside him, Danzo would ask "isn't this place amazing?" The guy simply nodded again and waited patiently for the Daimyo to come out. "A total of 20 guards on the ground, and one on the roof" Danzo said to himself after having analyzed the area. "Fu spoke of one with extraordinary chakra levels. I've never heard of a Samurai with such chakra. So the guard on the roof?" Danzo asked himself. "If he finds Fu's trap, he's done" Danzo finished as he waited patiently for the Daimyo to come out. The gates closed off the entrance into the court yard leaving many people outside, unable to listin to the Damio's speeach. The real Naruto who was making his way through the crowd to try and get a better view of everything, slowly placed a hand on his com device. Walking through the back of the ground right up against the gates so that no one would see him Naruto answered "A few clones didnt make it, but I and the majority did. Im having the rest of them patrol the forest incase there is an enemy lingering outside." Taking his fingers off of his com device Naruto and the rest of his clones would analyze the crowd, trying to catch anyone who looked to suspecious. They also looked to see if there was anyone who noticed the cloaked samurai on the roof but there were too many people looking around enjoying the scenory making it difficult to spot any threats. The many hidden Narutos which made up most of the crowd would continue patroling the court yard looking for the slightest sign of a threat. "Copy that." Shikamaru simply answered his fellow Konoha-nin. Looking around at the crowd, he didn't notice anything out of place. The Nara then brought his attention up to the roof-tops to see if he could spot anything fishy, but again, nothing. (It'll be impossible spotting anything now unless a potential attacker makes a monumental mistake. We'll just have to wait it out till the speech starts.) he thought to himself. After what felt like an eternity, the castle doors finally opened. The Daimyo walked out and people started applauding. He took his place at the podium, and raised his arms, signaling the crowd to be quiet. Once they were silenced, he began his speech, "For one hundred years..."
"We're live. Everyone stay frosty, and if you notice anything at all, don't hesitate to act." Shikamaru spoke softly into his com device. 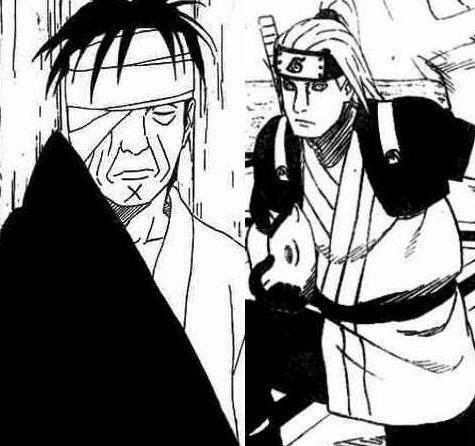 Danzo was finished pretending to talk to the guy because he had already gotten pretty much all the information he needed if plans didn't go as originally thought. If only he could remove his eye patch and scan the area with his sharingan, he'd be able to see if there were any chakra signatures surrounding him at this very moment. But if he did he would become and instant threat to the guards and fail the mission. So he waited patiently while leaning on his cane. Eventually the man or the hour finally came out from the palace and the crowd started to cheer. He calmed the crowd down and began his speech. Now all Danzo had to do was wait, wait for the right moment and he knew exactly when it was. "For one hundred years..." and at last the speech had finally begun. All the Naruto clones disguised along side the rest of the civilians continued analyzing the crowd as they listened to the lighting Damio's speech. So far they had not spotted anything out of the order. As the speech went along smoothly, suddenly beside the old man with the cane and an eye patch over his right eye, a younger man shoved through the crowd to get beside him. "Hey! ", "What are you doing?" "Stop pushing." could be herd as the young man made his way towards Danzo. "Hey there." the nicely dressed man said, directing his greetings towards Danzo. "This speech is a little boring. We need something more exiting, the crowd looks like its going to fall asleep, wouldnt you agree? I only came here to see the guards. I'm aspiring to be a samurai one day." Whether the old man gave an answer or not he would continue talking trying to pass the time. "I couldnt help but notice your eye patch. Are you missing an eye under there or are you just hiding a scar?" He asked as he leaned forward trying to get a better view of the patch. "Can I see what it looks like under??" Right after the man got a glimps of his cane and asked "Are you some war veteran or something? Is that cane to support an injure you suffered in battle? Or are you just old?" The man may seem annoying but he was serious and wanted his questions answered. The old man kept calm and listened to the speech. There was a bit of chatter here and there but Danzo did not care because he wasn't here to listen to the speech. He could hear some kind of ruckus happening behind him until someone tried getting another man attention. Danzo soon realized that his attention was the one that was trying to be grabbed. The young man came up to Danzo, and just began blabbering on about nothing. The old man turned to look at the young looking fella for a mere second, and turned his attentions back to the speech. But the kid went on and on about nothing. After he mentioned the thing about becoming a samurai, old man Danzo said in a raspy old voice "good for you, but I came here to listen to the speech. Lets talk after." But the guy started questioning about everything on Danzo. His eye patch, what was there, his cane, why did he have it. "Common now lad, I'm just a frail old man" he said while lifting his cane into the young lad's chest and pushed his upper body and face away from his own. "And this cane is for annoying people like you" Danzo said. "I'm just old. You are to young to understand the significance of this speech. Please, allow me to listen to it. I can tell you of my great experiences when its done" Old Man nodded with a failed attempt at a smile. He then turned his attention back to the man of the hour. Naruto turned to face the Damio after the old man beside him pushed him away with his cane. Crossing his arms, the Naruto clone disguised would keep silent for a few minutes listening to the Damio's speech and then he spoke. "Common, even to an old man like you this speech as no significance. He's just some silly politician trying to plead his case. And you don't seem to need that cane seeing as how you just stood up without it and had the strength to push me away with one hand. I'm sure theres a story to you. 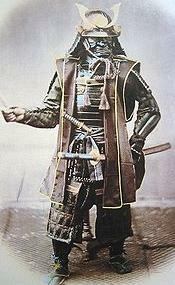 Your either some war veteran samurai or shinobi. Thats why you wear an eye patch and pretend to be frail and weak. Common, I'm sure your story is more interesting than this guys?" Pointing towards the Damio with his thumb. Meanwhile, there were Naruto disguised all across the crowd trying to talk to other civilians to see if they could learn anything. One Naruto at the back of the crowd who was simply watching went to scratch his hear but was actually speaking through his com device to Shikamaru "So far we haven't found anything. If anyone makes a move, it will probably be at the end of speech. I will keep searching." The kid listened to his elder and stop bothering him with nonsense. So Danzo turned his attention back to the Daimyo and began analyzing the guards beside him. But it was only a few minutes of silence before he got distracted by the child beside him again. "As I said before, you are too young to understand the significance of this. Don't act like you know what is significant and in-significant to me." The kid went on again trying to get some kind of story out of the old man. "As you can see my legs still work, they are just not as strong as you youthful people. This cane is to aid me, not replace my legs. The eye patch is to cover up the eye I lost from my work. Tell you what, if you let me listen to the speech and greet the Daimyo without any more disturbance, I will tell you everything you want to know" the old man said with an attempt at a friendly grin and a little nod. The old man looked back at the Daimyo placing both his hands onto the cane in front of him wondering how much longer the speech was. "I have a dream," the Daimyo went on with his speech. Knowing that it was nearing it's end and it would be time for the handshakes soon, Shikamaru would make one last move. Bringing up his hand to the com. device in his ear, he quietly said, "Deer to roof guard." "The speech is nearing its end. I want you to move across the main roof. I stress the importance of being as stealthy as possible, because if a normal citizen sees you, they might start a panic. An assassin will see you regardless of how well-hidden you are. Once you make it across the roof, hold your position on the other side and continue to remain hidden." the Nara ordered. He knew this was a risky move, but he also knew the chances of them being able to stop someone attempting a coup during the handshake period were slim to none. If there was an assassin(s) here and he hadn't made a move up till now, that probably meant they were waiting for the handshake. "Copy that..." the guard on the roof answered. He began moving, trying so hard to remain hidden that he was sweating all over. Lowering his hand from the com. 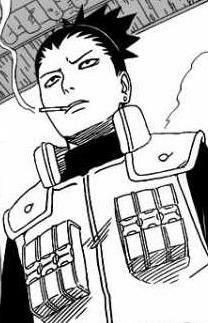 device, Shikamaru thought to himself, (Your move...) as he diligently watched the crowd. The old man went on blabbering about what was significant and insignificant but the Naruto clone didnt really listen to what he had to say. He acknowledged the old man to seem like he was listening but infact did not. "But thats all i want to know. What your line of work is!" The young man exclaimed raising his arms into the air. "I've never seen what a missing eye looked like, so how bout this. You give me a peek under that eye patch, tell me how it happened and Ill leave you in peace." Meanwhile the guard on the roof slowly inched his way across the roof, trying as hard as humanly possible not to be noticed by an civilian watching. Something up ahead caught the guards eye that probably shouldnt have been lying on the roof. Placing his hand onto his com device the samurai would ask to Shikamaru "Did you place something on the roof with me?" Slowly moving closer to it, once the guard got to it he placed his hand back on the com device "It appears to be a puppet. What's it doing up here." The guard asked while at the same time with his other hand would move the puppet to get a better look at it, to see what it really was. The old man simply glanced at the young one for a second when he offered his own suggestion. But he said nothing, instead he turned his attention back to the Daimyo and ignored the kid letting him know that the only suggestion they were going with was the one the old man offered. After all he was the elder one and the kid had to respect him. Where were his manners? So the kid was just going to have to wait. Meanwhile, inside the puppet, Fu noticed one of the guards spotted him from the end of the roof top. Fu noticed the guard placing his hand next to his ear meaning he must be communicating with someone on ground level. 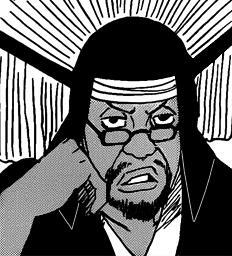 "One person to scan the rooftops, pathetic" Fu thought to himself. When the guard got to the puppet, he attempted to reach for his com. device and contact someone. But before he could reach his ear piece the puppet swung its arm which consisted of a sickle straight for the guards ribs. The fact that the guard was so close to him and the attack was so unexpected it would be nearly impossible to evade. All the guard had to do was counter and/or attack the puppet and Fu would switch places with him. Shikamaru's brow furrowed when the roof guard asked if the Nara had placed something on the roof. Before Shikamaru could say anything, the guard continued, informing everyone that it was some kind of puppet. With blurring speed, Shikamaru brought his hand up to his com. device and opened his eyes wide, "Don't go near it...!" he ordered, keeping his voice quiet enough for it to go unnoticed by the Daimyo. By then it was already too late - the roof guard would be possessed by Fu. "What's going on, roof guard, do you copy?" Shikamaru spoke into his com. device. Now on the tip of his toes, Shikamaru was just about ready to give the order to get the Daimyo and secure him. The puppet on the roof could only mean 1 thing: assassins. Thinking 200 steps ahead, Shikamaru realized one of the possibilities could be a puppet-nin from Suna. "Deer to East Castle Wall Guard." the Nara spoke. "Tell the Naruto clone with you that he needs to patrol the surrounding area. As you all heard, a puppet was found on the roof, so there's a possibility that a puppet-nin could be hiding somewhere nearby waiting to use it. Have him create a few more clones if he can, we need to clear the area as fast as possible." Shikamaru instructed the man. Lowering his hand and calming himself, Shikamaru awaited news. All the Naruto's listened in to the conversation Shikamaru had with the roof guard, but it ended short as the guard went silent. Right after Shikamaru asked the eastern guards to search the area surrounding the castle, the real Naruto who was disguised somewhere at the back of the crowd interrupted. Whispering so that non of the civilians would hear him Naruto told Shikamaru and the guards "No need to search the area. My clones that never made it inside have been searching the forest the entire time. If there was someone out there one of my shadow clones would have sent me the information. Someone else put the puppet there for a reason." Looking around trying to see if there was anyone who started looking nervous Naruto asked Shikamaru "So whats the plan? Evac now?" Meanwhile the Naruto that was talking to Danzo figured the old man was harmless and stopped talking to him and started listening to the speech and looking out for others who may look suspicious. Danzo was finally left alone by the kid but noticed he seemed to be looking around for something, so Danzo was going to keep an eye on the suspicious kid in case he posed a threat of any sort. Now he waited for the Daimyo to finish his speech. Meanwhile Fu had successfully switched places with the guard and now he was inside the guards body and the guard was inside the immobile puppet. Fu could now hear all the communication that was going on between the guards. He was simply refereed to as "roof guard" by whoever was trying to contact him. Putting his hand up to the ear piece, Fu would answer "copy" he answered Shikamaru. "I'm okay, I took care of the puppet" Fu said grabbing it and throwing it off of the rooftop. The person Fu was speaking to began speaking to the guards on the east wall and refereed to himself as code name "Deer". Fu stayed calm and listened in to the conversation going on. "The Kyuubi" Fu said to himself confirming the large chakra source he sensed earlier on. It seemed he already had shadow clones surrounding the castle searching for anything, and he was right. Fu concentrated on his chakra sensing ability expanding the range and knew where all the Naruto's were, including the one standing right beside Danzo. "They came well prepared" Fu thought to himself. Placing his hand onto his ear piece Fu began speaking. "I had spotted a black figure headed East after my encounter with the puppet" Fu said as the roof guard trying to divert their attention to someone who didn't exist. Now Fu stayed hidden on the rooftop as the guard was attempting to do previously. Listening to Naruto's voice on the com. device, Shikamaru would begin thinking. Before he could answer, the samurai captain would respond to Naruto, saying, "No. As long as the public doesn't know what's going on and the Daimyo isn't in any immediate danger, we will not cause a panic." "I agree. A panic could create the perfect opportunity for an assassin to strike and go unnoticed." Shikamaru added. Just after, the roof guard came onto the line and informed everyone that he was OK and had "taken care" of the puppet. "Wait, don't touch it!" Shikamaru tried to warn, but by then it would probably be too late. "It could have been a trap, what did you do with it?" the Nara asked. The roof guard then informed them all that after meeting the puppet, he noticed a black figure heading East. Remembering that Naruto said his remaining shadow clones were patrolling the perimeter around the castle, Shikamaru responded, "Don't engage, hold your position." (The puppet could just be a diversion to get our attention to the back of the castle. The real assassin is probably somewhere in this crowd.) Shikamaru thought to himself, once again looking out into the crowd. Judging by the way the Daimyo was speaking, the Nara could deduce that the speech was coming to an end very soon. Naruto listened in as the samurai captain and Shikamaru both agreed that evacuating the damio was not such a great idea. Naruto remained at the back of the crowd simply watching and listening into the com device. "None of my shadow clones have exploded yet." Naruto though to himself "Whoever's here must be really hidden, but where?" As Shikamaru asked the roof guard about the puppet, Naruto whispered into his com device "If someone had been controlling the puppet they would have had to be close enough to see what the puppet was doing. My clones would have seen someone if they were in fact there, and the guards would have seen them before you did." Speaking to the rood guard. "That puppet was probably a decoy. My shadow clones are still out there. If there is someone else there they wont get away." A new voice came onto the com. device advising them not to cause a panic because it could leave an opening to attack. The voice known as "Deer" told Fu not to throw the puppet away, but by then it was to late and was asked where he threw the puppet off. "The puppet is on the north side of my location" Fu spoke into the com. device because he threw the puppet on the side where the guards weren't. Naruto began speaking into the device giving his own thoughts on the situation making Fu realize he obviously wasn't the brains behind their strategy. It was the one known as "Deer" and the other voice because they were the ones giving out the orders. If there really was a puppet-nin hiding, doesn't mean the shadow clones would have spotted him especially if he was hiding. "I'm on higher ground, I get a better view from up here of the surrounding area" the Roof Guard said into the com. device reassuring Naruto and the others that he had seen someone. Scanning the surrounding area to make it look like he was still searching for the "puppet nin", Fu waited for orders from "Deer" or the other person in charge. "If there is a puppet-user, he could have been hidden and waiting there before your clones were deployed." Shikamaru replied to Naruto. "If there is someone moving around, hopefully one of your clones will spot the suspect. Deer to North Castle Wall Guard." "Have the Naruto clone with you go look for the puppet and set up a safe perimeter around it. Tell him not too touch it or get too close." Turning to look at the Daimyo's back, Shikamaru listened as he finally ended the speech, "Thank you." The crowd roared with applause, and once they were done, the Daimyo continued, "We will now be having a brief period in which you may come up to meet me personally and give your two cents." With that, the Daimyo moved away from the podium and got into position as the 10 guards on the stage did the same, including Shikamaru. Bringing his hand up to the com. device, Shikamaru would say, "Open up the gates and let out any civilians not staying. Everyone else organize the rest of the people into a line. Stay on your toes - if something's going to happen, it's now." The Nara made sure he was standing right next to the Daimyo, as planned. Not only that, but the way everything was set up was no coincidence. Shikamaru knew what position the sun would be in the sky by the time the speech was going to be over, so the set up for the handshakes would have Shikamaru's shadow being cast right over the shadow of whoever was standing in front of the Daimyo. With 1 quick handseal, he would be able to stop anyone in their tracks. The fact that he was disguised as a samurai would make it all the more surprising. (Your move...) Shikamaru thought to himself, watching all the people line up.